These little cuties are on their way to California! 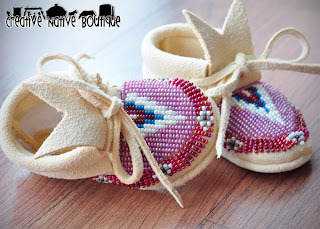 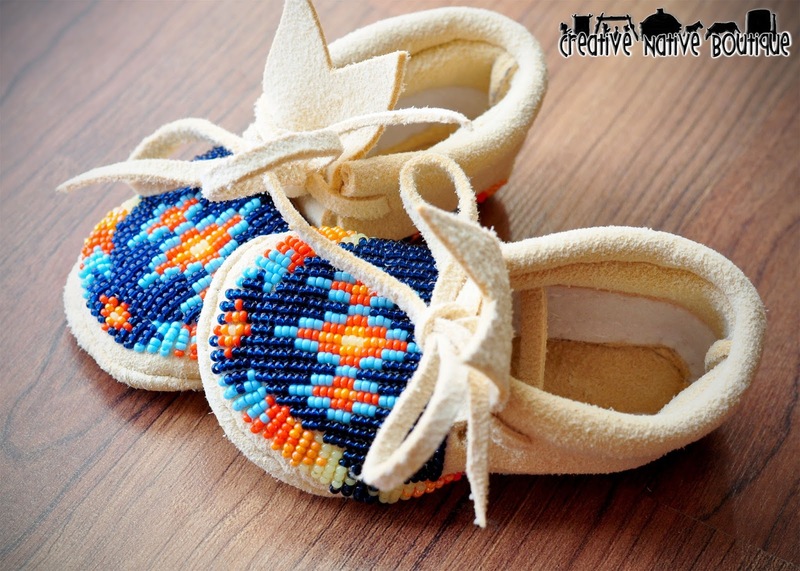 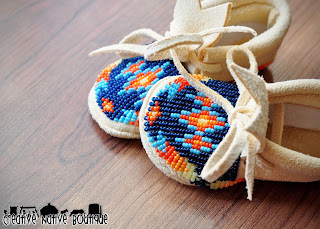 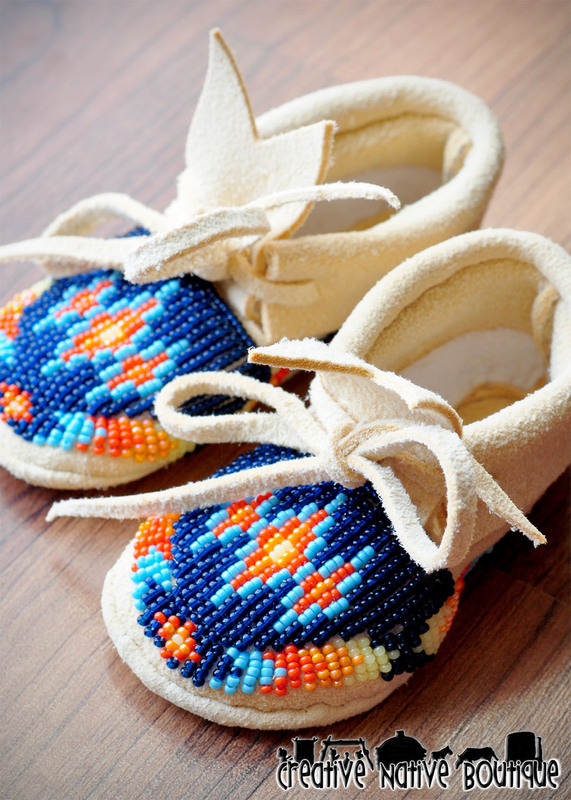 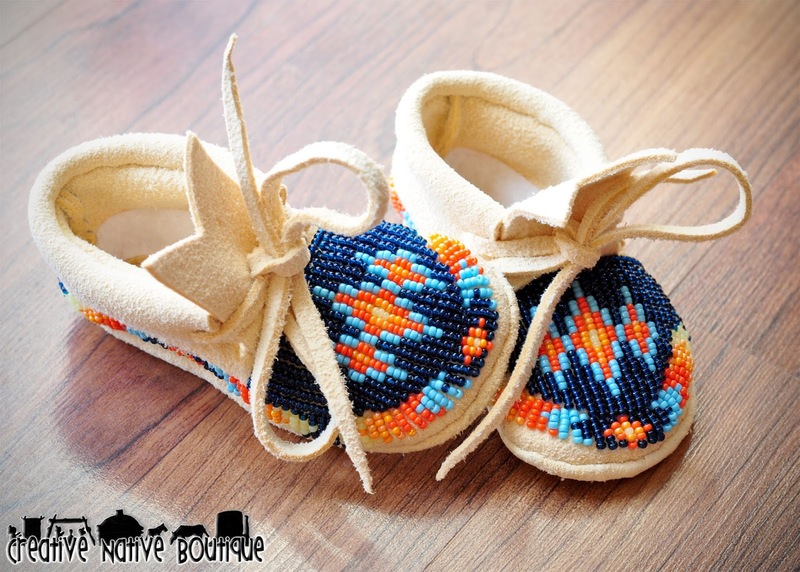 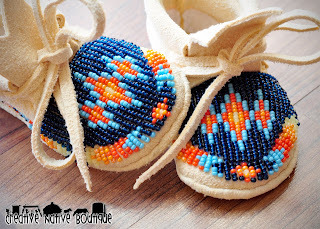 There's something so special about handmade, hand beaded baby moccasins! These are a size newborn and 1. 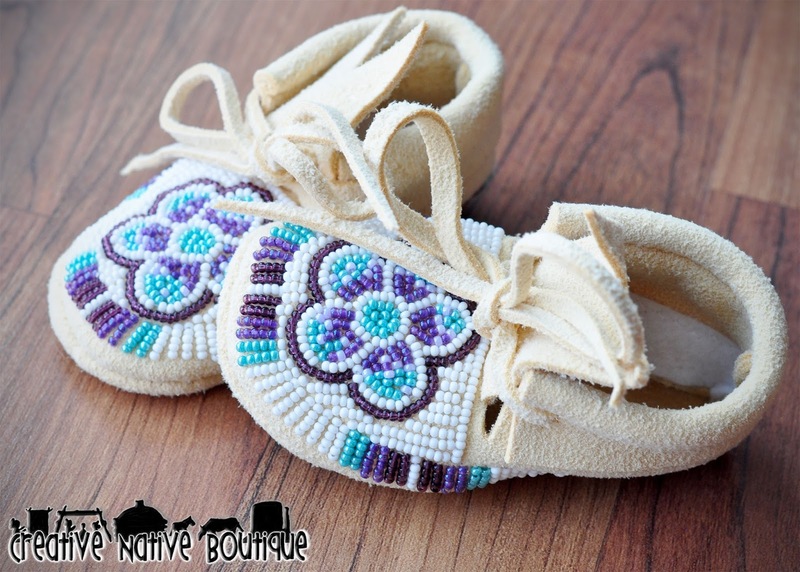 Authentically, Native American Made!